The year was 1955 and on August 6th of that year, Marilyn Monroe, her photographer Eve Arnold and hair hairstylist Peter Leonardi accompanied her to town. 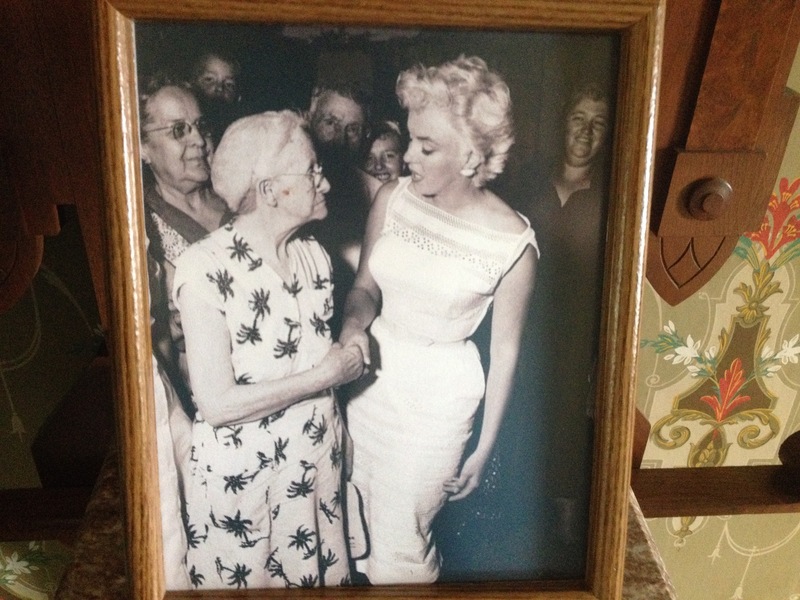 Monroe had just wrapped her film Seven Year Itch then she came to Bement to help them celebrate their centennial. While in town she went to Carlton Smith’s home where she stayed the day of her visit and soaked a swollen ankle. Smith has lured Monroe to town when he had met her at the Ritz in New York and paid her hotel room when she was short on cash with the stipulation that she come to Bement for their big celebration. Smith wass the head of the National Arts Foundation and kept his residence in Bement. He was on a mission to bring culture to town and brought an array of exciting art pieces to this event. While in Bement Monroe visited the Bryant Cottage where she gave a speech about Abraham Lincoln and looked furniture and artifacts that still sit in their same places. Marilyn Monroe stopped by a nursing home and judged a beard contest. The winner later ended up on the show “I’ve Got a Secret” and won. The celebration lasted August 6-8 and was great fun. We only made it through the Bryant Cottage where Abraham Lincoln and Stephen Douglas planned their series of debates, and the wonderful home behind Bryant Cottage that is a private residence but open for this event. Read all about Marilyn’s big adventure in Bement in the next issue of Senior News & Times. I think you will be fascinated, I was!